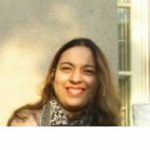 So we all have experienced some really great and helpful apps. The apps usually have a purpose. They either tell us some important or useful information or get something done or provide entertainment. However, here we are introducing a new breed of apps, which is the list of ultimate Good for nothing Android Apps. The main task of these apps, is that they do not do anything good or useful. The list of Good for nothing Android Apps provides some really bizarre and useless apps that one would wonder why do they exist anyway. However, wonder we might but the truth is that these apps do exist and there are a bunch of people who have downloaded these apps too. So without further ado, this is the list of apps that are simply Good for nothing Android Apps. So this app does exactly what it claims and it is nothing at all. It will just show a blank screen with nothing written on it. It is definitely the most useless app that you would encounter on the app store, however would you believe what amazing five star reviews and downloads it has. So here is a pro version too for $ 0.99 and it promises more nothingness. You don’t believe that people will pay for nothingness, well you are wrong. We live in a bizarre world where anything is possible and where app like nothing has more than a million downloads and well above 80,000 reviews. Available for both iOS and Android. We got one word for this app and that is “eewwww” It is a really disgusting as well as pointless app. All you can do in this app is pop virtual pimples. You can just pop and pop and pop some more on different faces. Pus, goo and even blood oozes out once you pop the pimples. Nothing even remotely fun or interesting about it. If you are really feeling sad and dull, you might try it for a while and it might lift your spirits, however more chances are that it will make you depressed even more. And when you are at it, there are atleast twenty other pimple popping games too which you will see in the related apps. 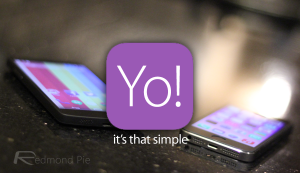 So this app just says Yo to your friends. It shows the list of your friends. You select the friend and when you click on the name of the friend, a Yo is sent to them. Big deal, you can easily Whatsapp or text a Yo instead of dedicating a whole app to it, but it has over a million downloads to data and they are increasing every day. Seems, it really is difficult to say a Yo without installing an app for it too. 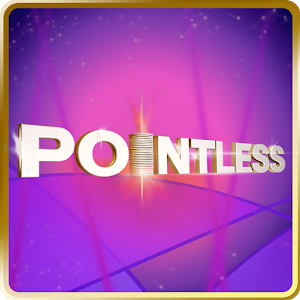 This app is so pointless, it will make you laugh. It provides a sort of social media environment. It has all the popular features that are in social media platforms like swipe left and right from Tinder, reBinks from Twitters retweets, Likes and comments from Facebook, but everything that you do is pointless. Because there is no social media activity here. You have no friends in this app. You have a timeline too, filled with random stuff that you can then repost, retweet or whatever, without actually sharing it with anyone or any social interaction. So you all must have heard about the motivational quotes and pics. Such things gets viral on the internet and receive hundreds and hundreds of views and clicks. However there is a new plethora of demotivational quotes too. For all the sadistic and cynics out there, this is a great app for you. Although it is completely pointless because instead of doing something it motivates people to do nothing but still the app has so many downloads and reviews that it really makes you wonder, how many sadists are there in the world. Another one for the sadists. This app in its description cautions people with depression to not to download it because, this app can induce depression. It causes you to feel really disconcerted and apathetic towards life and world in general. It has over 100,000 downloads in the appstore, although it has 16+ rating for strong language. So try at your own risk. Here is more info about this app. 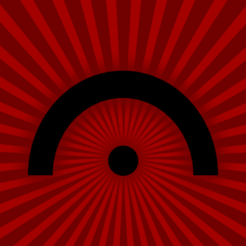 Another hit entry in our Good for nothing Android Apps list. In this case there is no game here to play. The app will first play the loading screen that solemnly and quite truthfully says that “Not Loading” The game developers know that it is people’s Psyche that when they are forbidden from something, they want to do that more. This is very true given the number of downloads for the app. 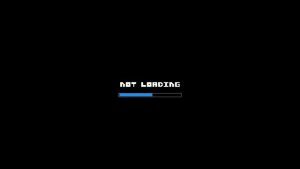 When the fake loading page is done, making you waste an ample amount of time, a person explains that there is no game here. The site is just great example of Good for nothing Android Apps. If ever there is an app store spring cleaning, this game should be out. Do you think you can shave with your mobile phone? No? Well think again. With iShaver Pro it is quite possible. This app, when downloaded shows an electronic shaver in all its glory. Then when you press the shave button, it starts shaving and you know it does because small hair starts to fall on the screen however in reality it is a completely good for nothing android app because it cannot shave even a single tiny hair. You can use the vibration effect to give the virtual simulation a touch of reality. You can also choose the length of falling hair and the color of the hair. Send Me To Heaven, a really pointless app. Infact it does have a tiny bit of point and the point is to try to break you cell phone. 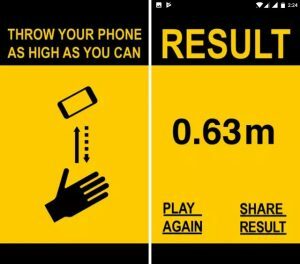 It asks you to throw you mobile phone in the air. When you catch it back it will tell you how high it went (only if you are lucky enough to catch it and it does not fall on the ground.) It will tell you the height that your mobile phone has reached. There are Top height of the day, Top height of the week, etc matches and people all around the world participate in this silly game. There is a disclaimer with the app that it can be hazardous to yourself, your cell phone as well as people in your surroundings. Still so many people would like to play this game (it has more than 1000,000 downloads) Try at your own risk at the appstore. What better name for a completely pointless app. The list of Good for nothing Android Apps never does end it seems. Well as the name of the game rightly indicates, the game has no point at all. You just press the screen and you get one point for every second that you press the screen. So the longer you press the screen, the more points you can get. Similar to the pointless game is the hold on game. Here again you press the button on screen to get the points. Keep on pressing and pressing to get more and more points. So in truth there is just no point of this app. Abu Moo app is not only a completely wasteful and pointless app, it costa a lot too. It has the price of $2400 attached to it. Yes it is $2400, we are not at all joking. According to the app description this app only exists to show your friends how rich you are. You can buy it for an outrageous amount of money. It will just sit on your desktop and makes you feel rich because you have an app that expensive. You can just buy virtual jewelry through this app. What a waste of time and resources. 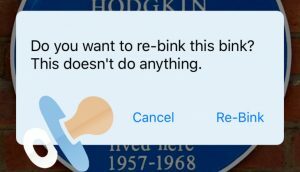 There is just no end to silly, completely Good for nothing Android Apps that have been made just to waste time of people or to make them kill boredom. Do try any of these out only if you have enough time to kill and you have nothing better to do. Have you tried any of the above apps. Which apps do you think are worthy of entering the Good for nothing Android Apps list? Let us know by leaving a comment below.